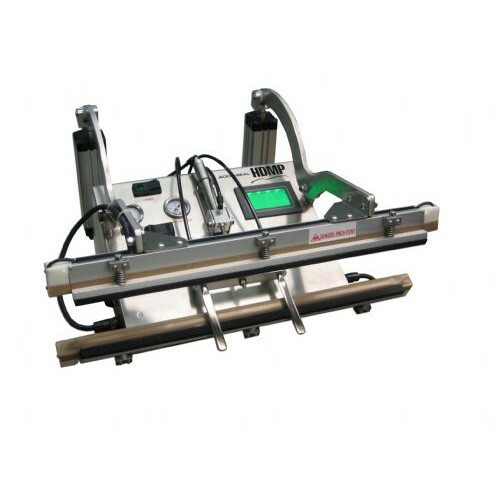 The Heavy Duty Multi-Purpose Series Sealers have the Power and Control it takes to handle virtually any sealing, vacuum sealing or modified-atmosphere packaging application. Dual side or single side heating and high pressure seal bars from 20" to 60". Wide Body 35", 40", 50" and 60". Small Body 20", 25", and 30". HDMP Series Impulse Vacuum Sealers have the power and control it takes to handle virtually any sealing, vacuum sealing or modified atmosphere packaging (MAP) application. Dual side or single side heavy duty heat sealing bars in seal lengths up to 60”. These heavy duty vacuum sealers have digital operator interface and PLC control with selectable operating modes. The easily detachable retracting vacuum nozzle assembly and NEMA 4 rated stainless steel enclosure allows for complete cleaning and sterilization for harsh environments of the industrial, food, chemical, and electronics packaging industries.Clean room friendly vacuum sealer. The HDMP is also available in a Seal Only model. Upgradable to seal lengths up to 60"
Length: Seal Length + 4"